Featuring a total of 11 global patents (pending and granted), iCX from EVGA is efficiency perfected. 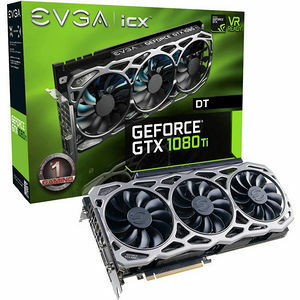 With 9 additional sensors embedded on the PCB, a newly designed die-cast baseplate and backplate, purposefully-directed airflow chambers, and full control using EVGA Precision XOC, EVGAs iCX is the very definition of Interactive Cooling. With PC gaming growing, it is important to provide "Peace of Mind Gaming" to the user. With EVGAs new iCX technology, users can have a better understanding of their cards operation. This includes temperature monitoring on key components (not just GPU), interaction with other devices and better cooling with asynchronous fan control providing better overclocking capabilities. With EVGA iCX technology, a new era of PC gaming is coming.